Round box holding 4 coasters - the perfect gift. 5" round (limited quantity). 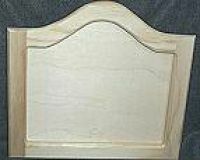 This surface is a wood insert with frame perfect for pattern packet PP-418. 14 1/2" X 13"
Square coaster box holding 4 coasters - perfect for pattern packet PP-438. 15" square. This wood surface is the shape of a Christmas tree and will fit many holiday designs including pattern packet PP-448. Measures 11 1/2" x 13"
This is a door plate suitable for any design. I chose halloween with an array of pumpkin faces. This door plate comes with one pumpkin amd measures 3" x 9 1/2". This round ornament can be painted with whatever you would like. I designed pattern PP-327 and PP-462 for this surface. 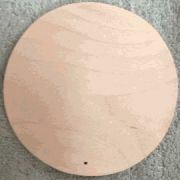 Measures 4 1/2 inches round.